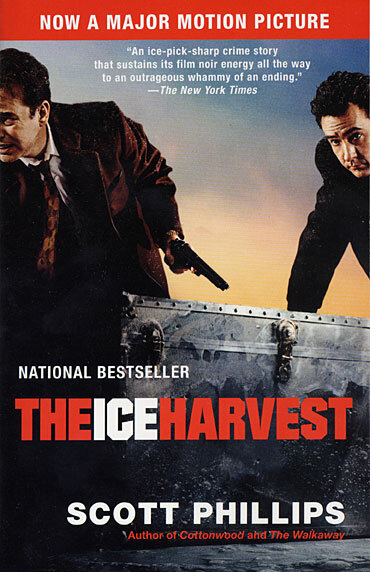 Like the movie edition cover says… THE ICE HARVEST became a major motion picture directed by Harold Ramis and starring John Cusack, Billy Bob Thornton and Connie Nielsen. And though it’s against Writers’ Guild rules to like the movie Hollywood makes out of your book, Scott couldn’t be happier about it and urges everyone to rent it. For Scott’s letter and pictures from the set with the stars, go here.